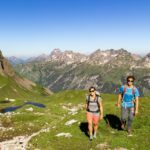 Michael Schott, an IFMGA certified mountain guide, wants to explore with you the Allgäu Alps in this 6-day hut-to-hut hiking tour. If you want to live a real mountain adventure, this trip is for you. 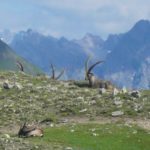 I am offering a 6-day hiking program around the Allgäu Alps. 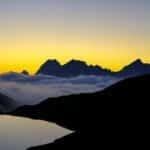 We will climb several peaks with magnificent views, and sleep in charming and comfortable mountain huts. The Allgäu Alps are a mountain range of the Northern Limestone Alps, located in Bavaria (Germany) and Vorarlberg and Tyrol (Austria). They are characterised by an unusual and different types of rock formations and a rich variety of landscapes. 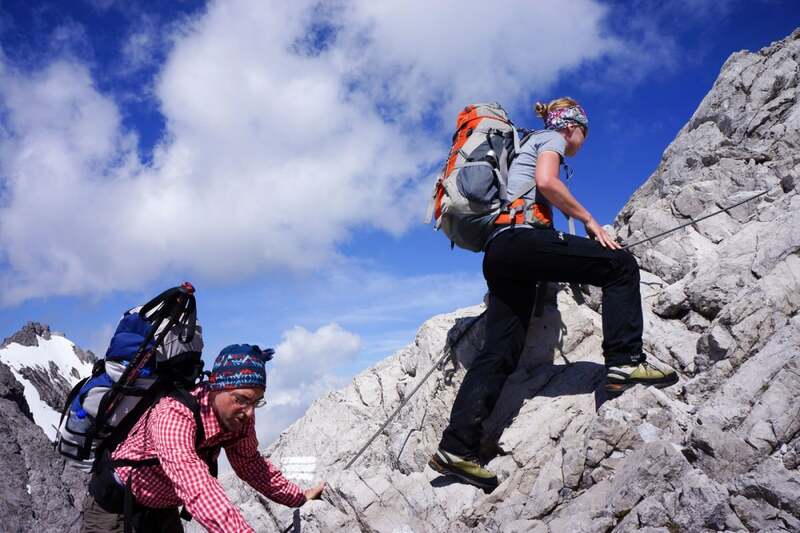 In this tour we will move in some challenging terrain. 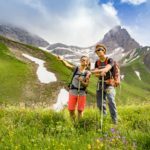 You need to be ready to hike safely in partially trackless terrain, as well as on wet rock. You should also be able to walk up to 7 hours in an altitude of around 1,200m. However, there are a lot of different mountain paths in this region. We will set a perfect itinerary for you depending on your wishes, fitness and hiking abilities. 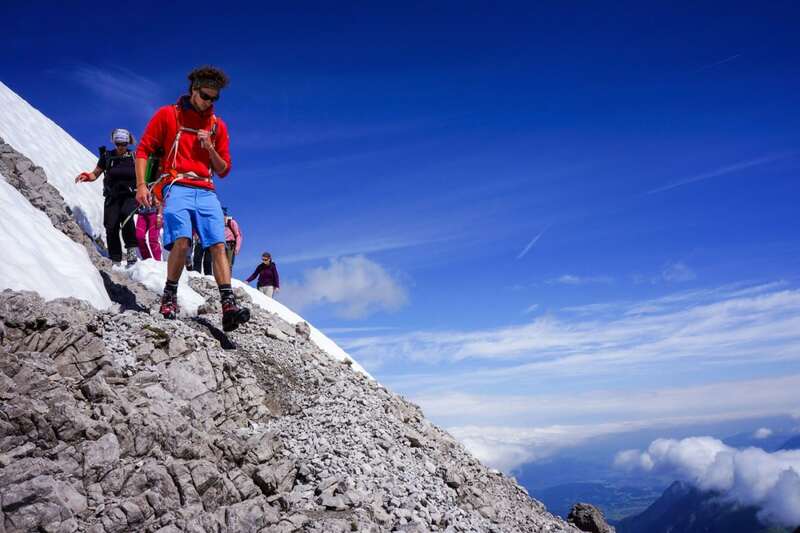 The adventure begins at the Fellhorn peak (2,038 m), near the town of Oberstdorf, in Germany. 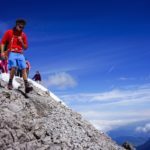 We will take the lift to its summit and climb to the Fiderepass hut, (2,067 m), the first of several refuges where we will eat excellent food and rest in familiar atmosphere. On the following days we will live a real alpine experience. 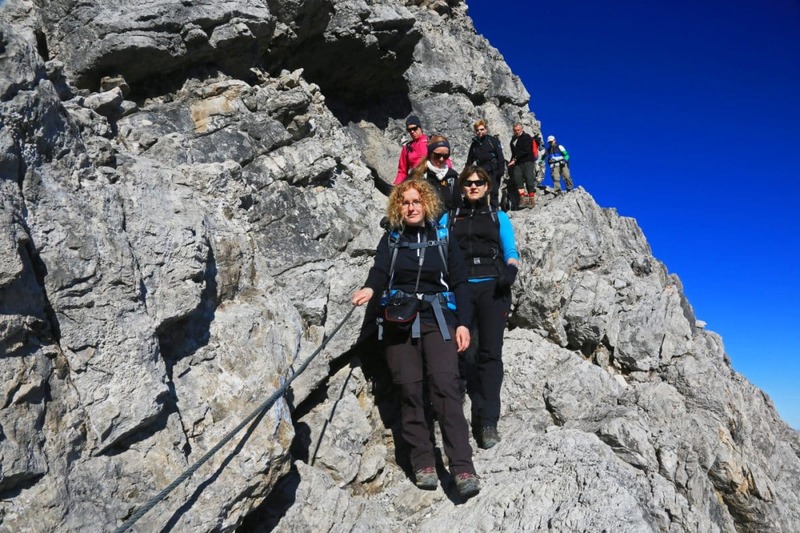 We will reach the summits of Walser Gaishorn (2,283m), one of the most beautiful mountains of the Allgäu, hike to the southernmost point of Germany, the Haldenwanger Eck (1,931 m), and visit the Schwarzmilzferner, the last glacier of the Allgäu. You will find an imposing and idyllic landscape in this area: lush green mountain meadows, beautiful natural lakes, wooded valleys, flower-strewn mountain mats, and towering rocky peaks. 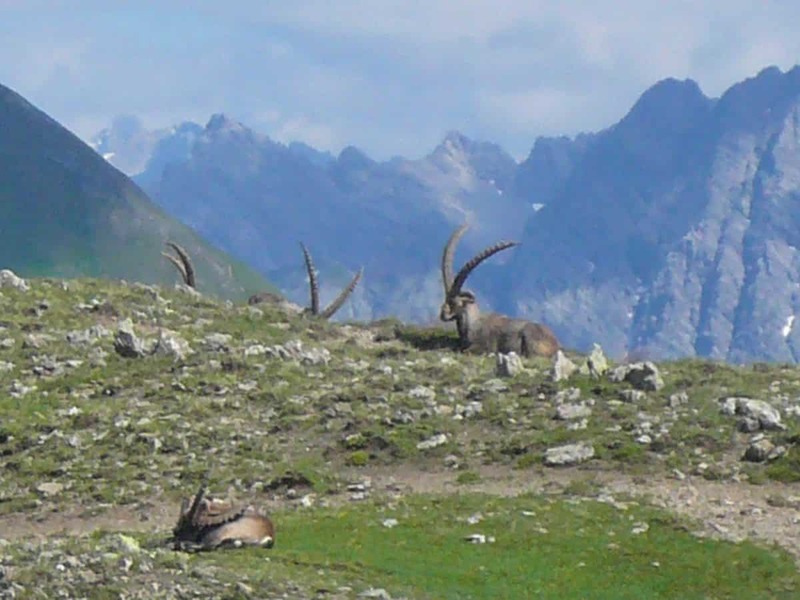 So, if you want to experience the nature of the Allgäu Alps, please contact me! 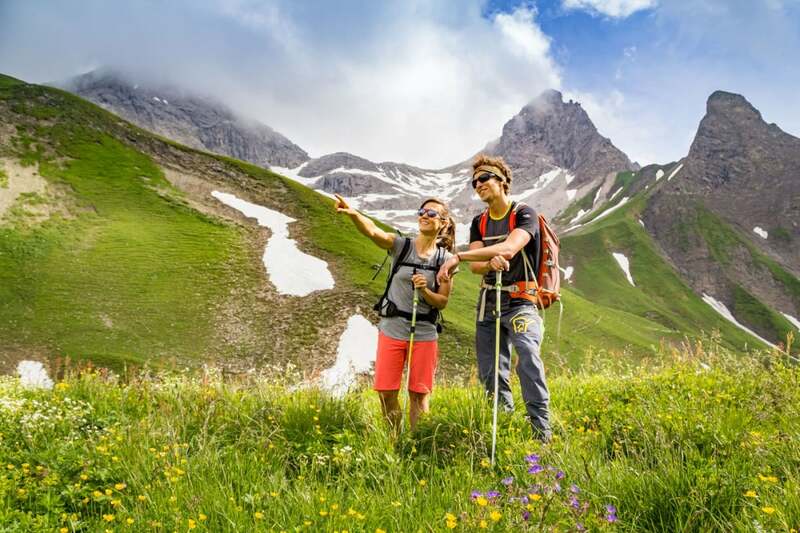 I’ll be glad to be your guide in this amazing hiking tour! 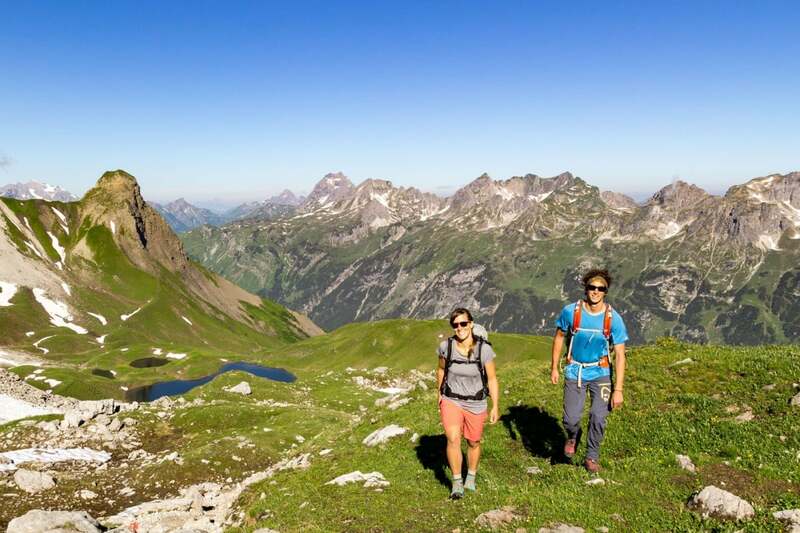 And if you are looking for a shorter trip, check out my 3-day hiking tour in Ammergau Alps. From Oberstdorf you will take the bus to the Fellhorn, and then the lift to its summit. From here we will hike to the Kühgund and then climb to the Fiderepass hut (2,067m), to eat and rest. Via the Krumbacher Höhenweg we hike towards the Mindelheimer hut (2,058m), where we stay to overnight. 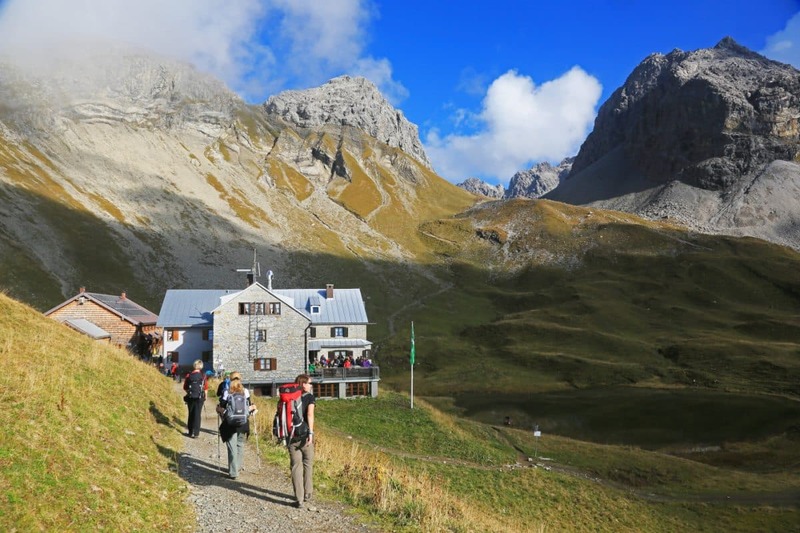 In the afternoon we will climb up to Walser Gaishorn (2,283m), one of the most beautiful mountains of the Allgäu. Hike to the southernmost point of Germany, the Haldenwanger Eck (1,931 m). 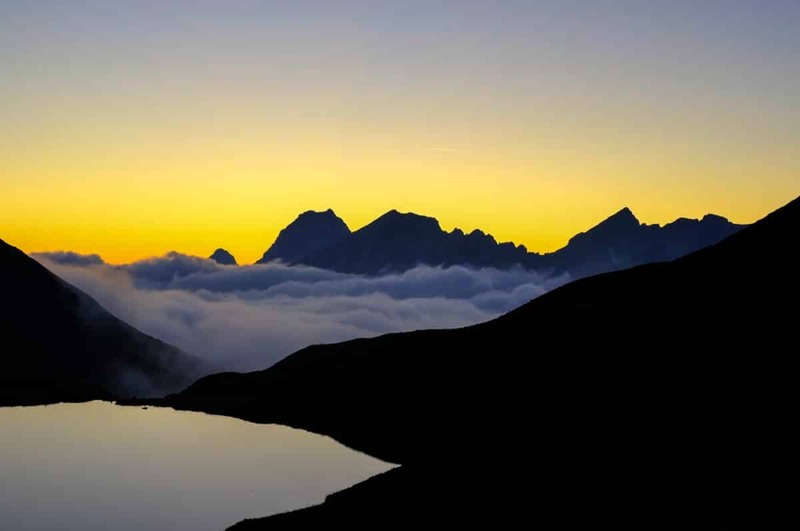 We continue on the Rappensee hut (2,092m). In the afternoon we can take a short tour near the hut. We will head up the Heilbronner Circular Trail. If conditions permit, it is possible to climb to the High Light, (2,652m). The trail leads to Steinschartenkopf (2,615m) and Bockkarkopf (2,608m). 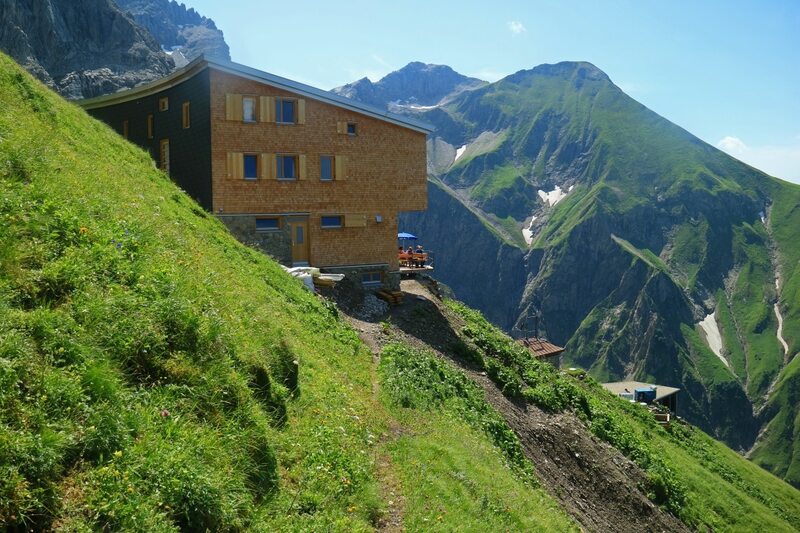 We will spend the night in the Waltenberger house (2,084m). After breakfast we get back to the Heilbronner. 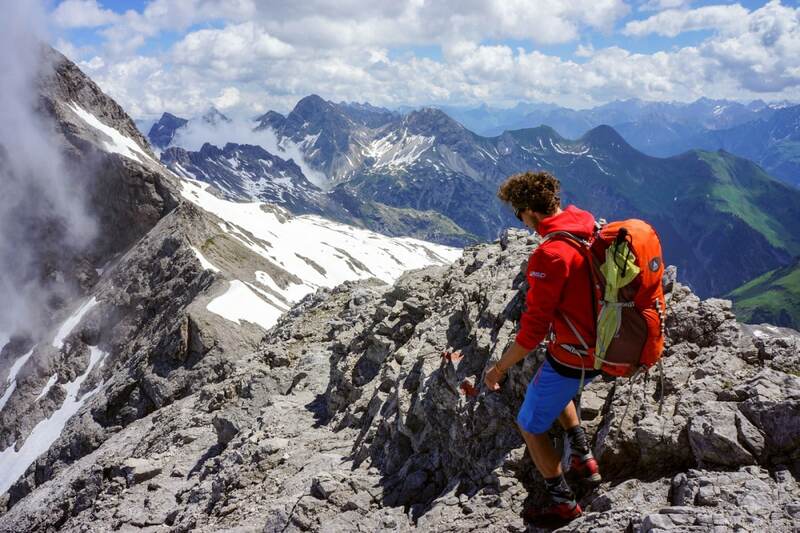 We have the option to climb Mädelegabel (2,646m). On the way we cross the Schwarzmilzferner, the last glacier of the Allgäu. We will eat and sleep at the Kemptner Hut. Descent to Spielmannsau and transfer back to Oberstdorf. 12:00 pm at the Alpine School, in the upper corner 12 a.